The new revolutionary Sagola 4600 Xtreme handles like a small sports car but feels like a luxurious limousine. 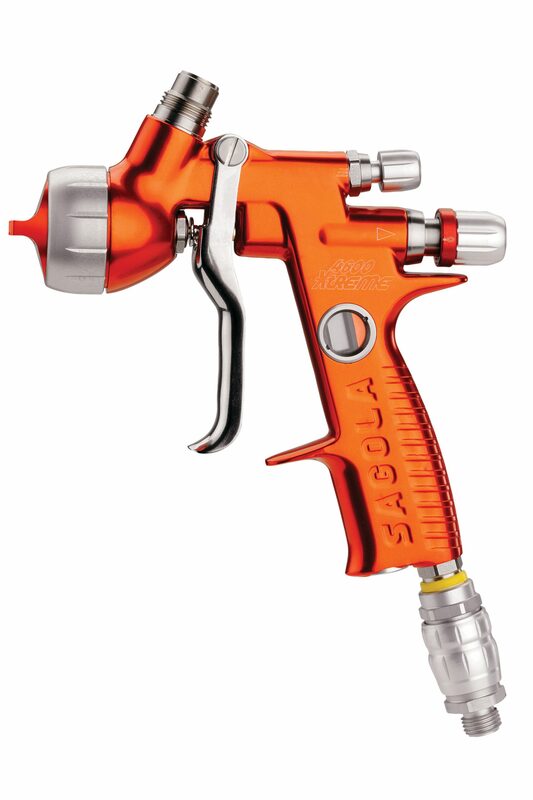 This digital spray gun packs a range of innovative features from design to speed and overall performance. This beast boasts a perfectly balanced lightweight ergonomic design with metal-on-metal technology, an all-new trigger mechanism for operator comfort, regulated air distribution for a more controlled application and an improved colour identifier. It has lightning fast speed, a progression action valve for soft flow, fluid regulators for adjustment control, a spray fan regulator for pattern control and to top it all off – it is economic in paint consumption. This new addition to the unique Sagola range delivers only the highest levels of quality finishes making it a production must-have in the modern body shop. Contact SIB on +27 (0)10 593 8920 or sales@sib.co.za or check out their website www.sib.co.zato find out more about the impressive Sagola range.